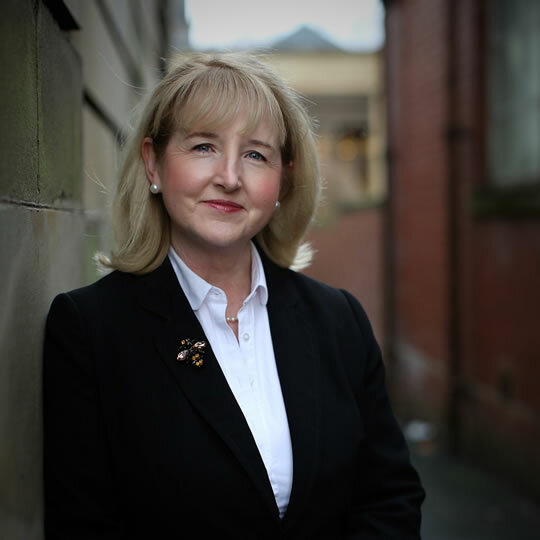 Rosemary has over 25 years experience in a wide range of civil and criminal litigation. She regularly appears in the Sheriff Court, the Court of Session and the High Court. She has appeared as leading counsel in the UK Supreme Court arguing about the European Convention on Human Rights in relation to the rights of fathers in Children’s Referrals. She has appeared as an ad hoc prosecutor in drugs, attempted murder and serious assault cases as well as junior counsel in child murder/Sudden Infant Death (SIDS) cases as well as drugs and fraud cases. Her practice has involved appearing for Curators and parents in social work referrals dealing with historic sexual abuse and cases of non accidental head injury (“shaken baby”) cases. She is also instructed in adoptions and permanency applications under the Adoption and Children (Scotland) Act 2007. She has successfully gained damages for clients who have been abused while in care.